The latest design nose cones for our Superkarts .... here are some pictures , karts #86 , #12 and #13 . Available in white or grey at $350. 2 stroke cylinder porting ........ its what we do best !!!!!!! 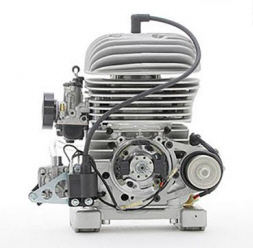 Our many years of 2 stroke engine tuning includes our never ending work in performance cylinder modifications. Mychron5 now in at just $695. 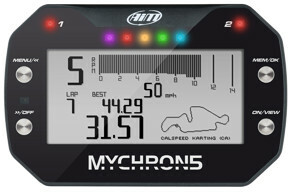 The all new MyChron5 gauges are now in Australia. An amazing item that is improved in many areas over the popular Mychron4. NEW !!! 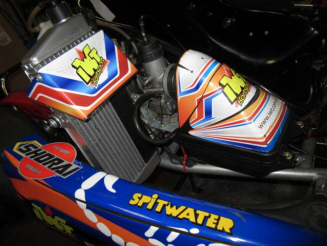 IWT Airbox stickers suit Rotax , KA100 , X30 and MiniRoks. 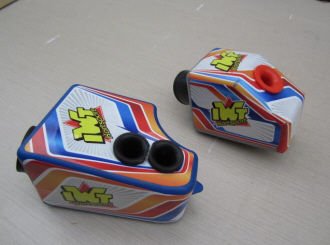 A great looking addition of colour to any kart ... and they are free to our customers !!!!!! The new MOTA version 6.30 for Windows� is now available. ( Australian Dollars ) including GST and delivery within Australia ..... or exported to most countries. For a limited time MOTA-X v1.0 will be included with the purchase of MOTA version 6.3 at no additional cost. 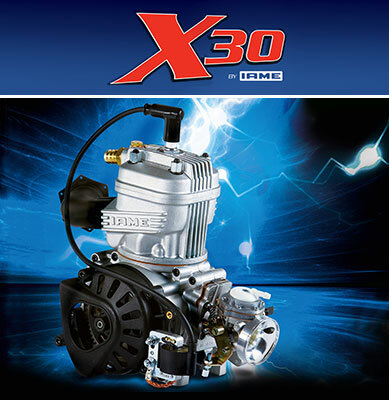 MOTA-X contains all the features found in MOTA plus expansion chamber optimisation code. 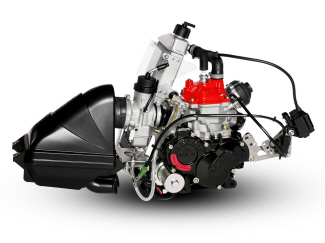 The optimiser searches automatically for the expansion chamber dimensions that give the maximum power or torque for your engine over a speed range that you input. It runs the tried and tested MOTA simulator many times, altering the expansion chamber dimensions intelligently between simulations, to produce an optimal expansion chamber design. This expansion chamber is not the product of simple correlations as for other products that abound on the web, but an "automatic" design created by MOTA which is a full wave action 2-stroke engine simulator. We also have a simple 2-stroke expansion chamber design program. This will get you started by providing, for your engine, the dimensions of an expansion chamber with a 2-stage or 3-stage diffuser. Free download here . Of course the dimensions so provided could be inserted in a MOTA engine data file and MOTA-X then used to provide an optimum expansion chamber design for your engine. We are supplying the Vortex MiniRok for Cadet 9 and Cadet 12 classes and the IAME KA100 for the KA3 and KA4 junior and senior classes. 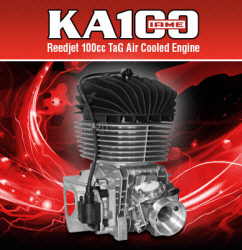 And you can always call on our experience with the Tag125 engines , either Rotax Max or IAME X30 , we sell new and used. Spare parts listings can be found on our pages related to each of these engines. 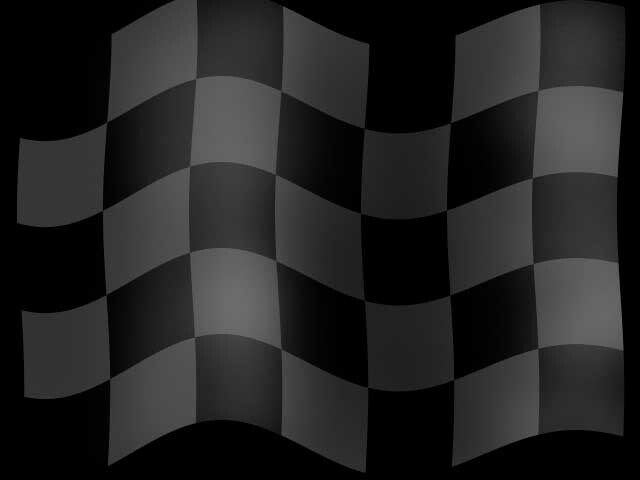 Our full kart parts pricelist .pdf file is here ..... click here. 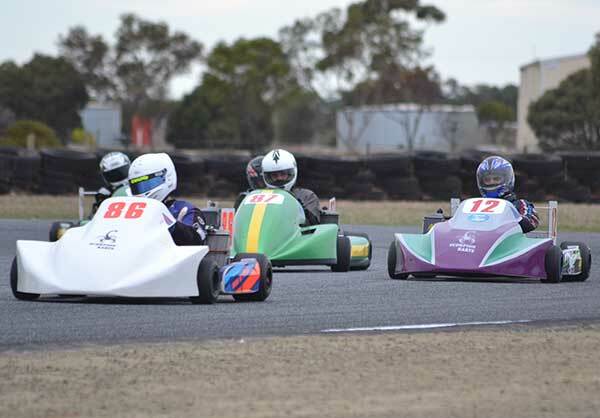 Also take a look at the new prices and models on our Arrow karts page .. 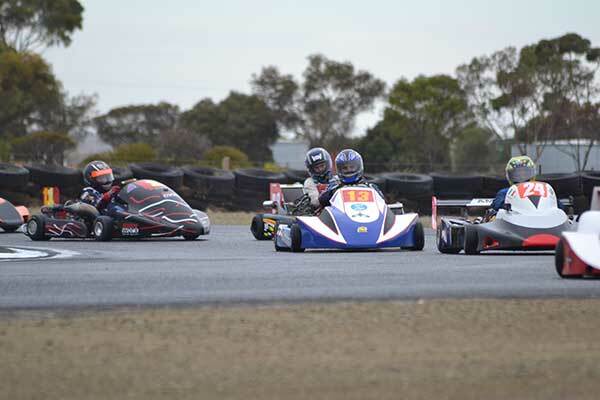 If you want to go karting in Adelaide ... speak to us !!!!!!!! !